Following persistent noise complaints from one particular apartment owner, a Sydney strata building commissioned a detailed review of the building’s ventilation systems [PDF: 21 Pages]. The noise issue remains a mystery, but the review uncovered an unexpected range of opportunities offering a potential 42% reduction in power consumption. The owner in question was certain the noise was related to the car park exhaust system starting up in the middle of the night. Things had gotten to such extremes that the building manager made a late night visit to try to pinpoint the issue. The investigation began by lying down on the residents bed to see if he could pinpoint the offending noise. Alas he had chosen an off night for the noise gremlins. Rather than return again in the darkest of night, the decision was made to call in a professional review. 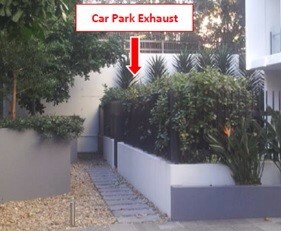 The review, conducted by Wattblock on behalf of Jamesons Strata Managers was able to eliminate the car park as the source of the noise complaint. 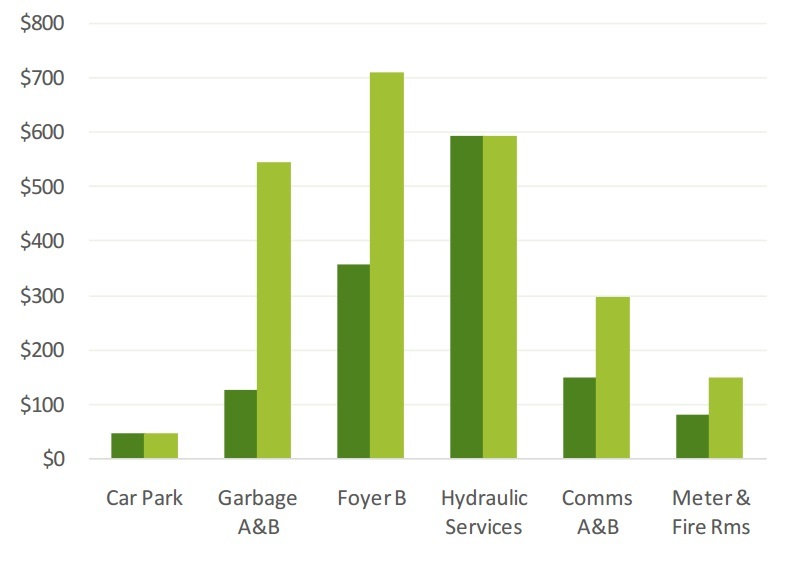 It also assisted to identify other systems that might be an issue, including lack of proper carbon monoxide (CO) ventilation in the lower car park, wasted common area real estate, and a range of fast payback energy efficiency opportunities. Fairly typical for a strata building, there were a total of 12 ventilation fans across common areas. Car parking ventilation already utilised Carbon Monoxide (CO) sensors and a Variable Speed Drive (VSD) on the extractor fan. However the ducting was not working efficiently to reach all areas of the car park. The main cost savings identified were timers for garbage and foyer ventilation fans.